I had colored this image the other day for the Daily Marker 30 Day challenge and set it aside until I decided what I wanted to do with it. 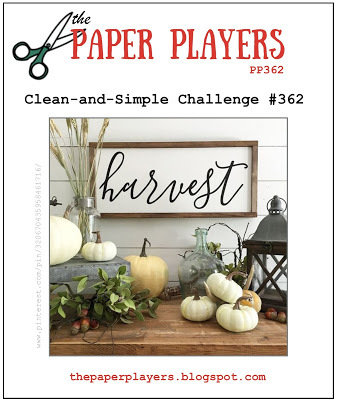 I was scrolling through my blogger feed Saturday night and saw The Paper Players new challenge, which is a CAS Harvest theme. My newly colored image was perfect for this! The fall colors here in southcentral Alaska will be peaking soon and my mind is completely on autumn and all the fun things to come.....decorating for Halloween, trick or treaters coming by (hopefully, we usually don't get many in my area), prepping for Thanksgiving and then of course my favorite, Christmas! For the next 2 months pumpkins will play a big part in my decor so this fun digital image from Power Poppy really speaks to me right now! I used my copics to color in the main image and then I used my computer to change the sentiment color to orange from black. I used a die to cut out the image panel and then adhered the panel to a card base of Tangerine Tango. I didn't want to take away from the image so left the rest of the panel very clean and simple, no embellishments of any kind! Well you already know I love this image Lisa, and what a fabulous job you've done coloring it! So glad you shared with us at The Paper Players! Gorgeous! 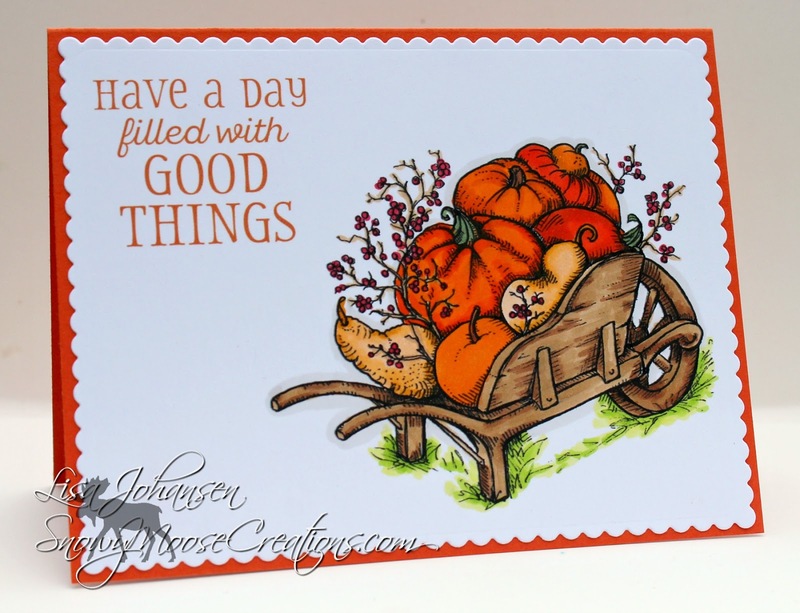 What beautiful coloring, a perfect "harvest" of pumpkins! 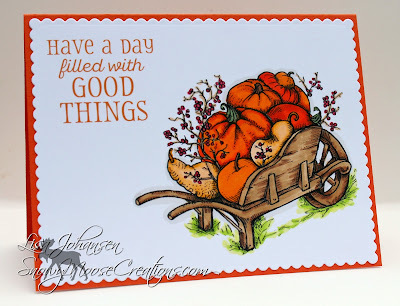 Thanks for playing with my Harvest challenge this week at the Paper Players!